Houston Astros second baseman Jose Altuve underwent surgery on his right knee Friday, a day after his team's season ended in the American League Championship Series loss to the Boston Red Sox, MLB.com reported. The team has not confirmed the surgery. Altuve injured his knee in a game in Colorado in July and battled the injury the rest of the season. He was placed on the disabled list in late July for the first time in his career. The injury limited him in the final three games of the ALCS, when he filled the designated hitter spot instead of taking his customary place at second base. Astros manager A.J. Hinch acknowledged Altuve was in pain last week. Hinch told MLB.com: "At this juncture, what he brings is beyond that comparison. He's not going to hurt himself any further. He's part of our heart and soul. You're going to have to drag him off the field and I applaud him for that." 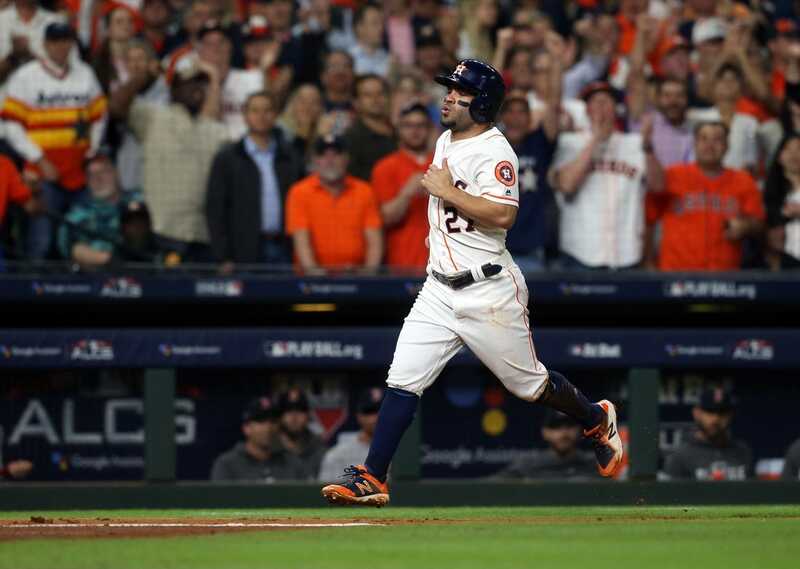 Altuve, 28, was the 2017 American League Most Valuable Player. He's a six-time All-Star and a three-time AL batting champion. In 2018, he hit .316 with 13 homers and 61 RBIs in 137 games. It was the first time since 2012 that he didn't play in at least 150 games.